Do Pollution Masks Really Work? When a billion people in China (and quite a few expats) woke up to the severe air pollution in almost every city in China, it forced a billion people to become experts in a complicated scientific question: Do masks work? Since then, I’ve given talks with hundreds of people all around China about how to protect themselves from air pollution. In those talks, I’ve heard doubts from smart, skeptical people. Here I’ll answer those doubts because, fortunately, smart, skeptical scientists (plus one dedicated nerd—yours truly) have empirically tested these questions. 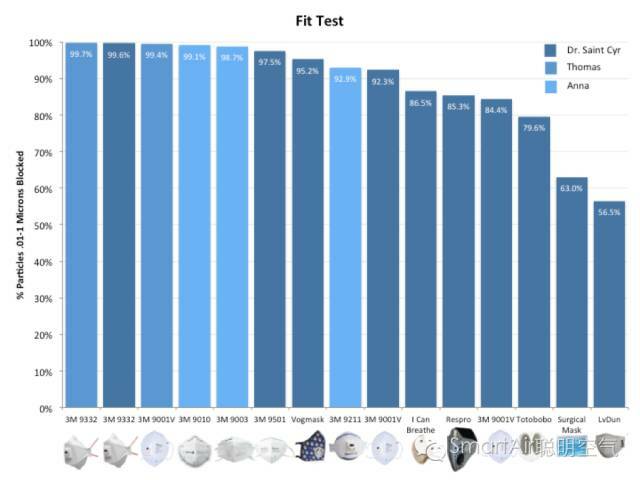 Update: if you’re living in India, we’ve done some India-specific tests with some of the most common masks available in India – including kids’ masks! The most dangerous particles are the smallest particles, but masks are so thin. How could they possibly get the smallest particles? One important detail: the particle counter they used measures down to .007 microns. We’re talking about truly tiny particles here! First they tried a simple cotton handkerchief. Sometimes I see bikers in China wearing these. 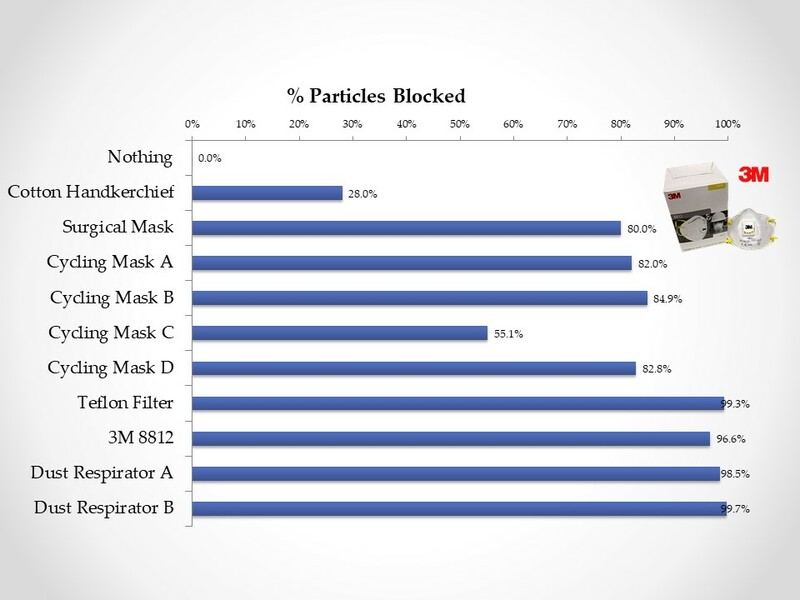 Not great, 28% of particles blocked. Next they tried a cheap surgical mask. Next they tried several bike masks. Then they tried several cheap 3M masks. They all scored over 95%. Pretty good! 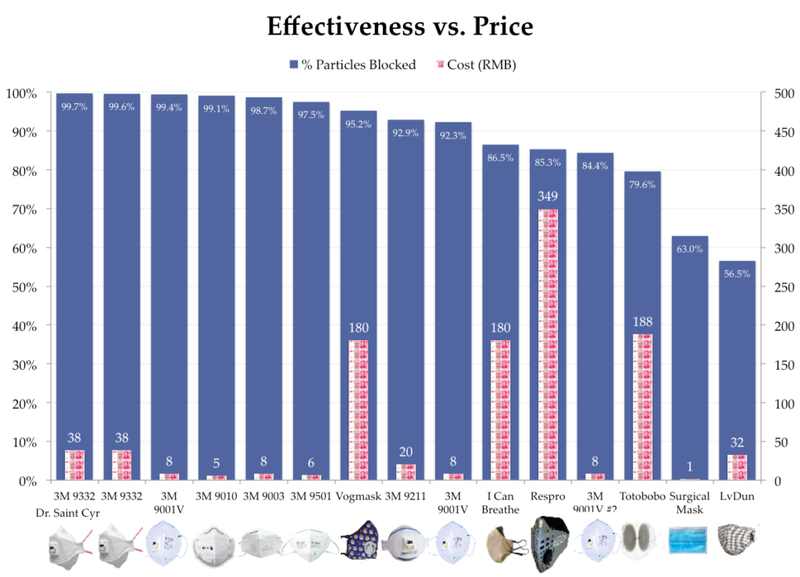 Conclusion: Masks capture even very small particles. Masks work in theory, but those tests aren’t on real faces! When you actually wear them, you can’t get a good enough fit, so they’re basically useless. 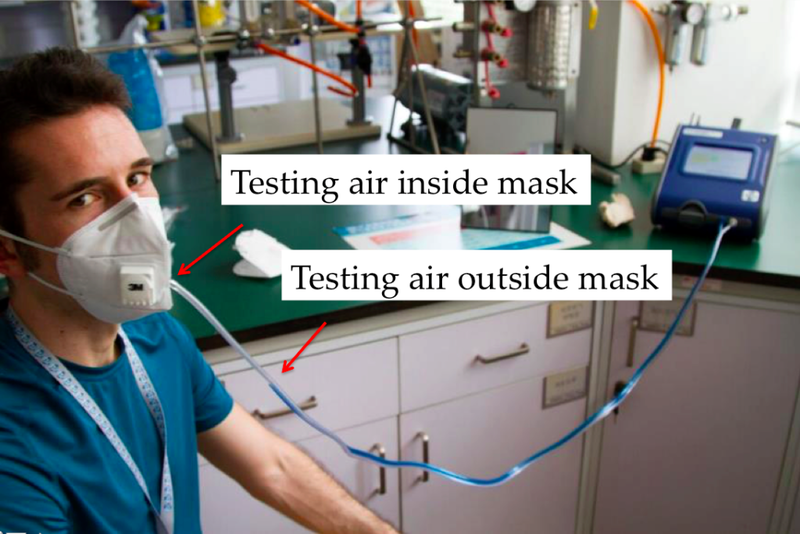 The blue tube is sampling air outside the mask, while the white tube is sampling air from inside the mask (more details on the methods here ). How well do masks work for the broader population? It’s important to make clear: masks that fit my face well might not fit other people’s faces well. However, there is evidence from a broader population that masks fit most people well. 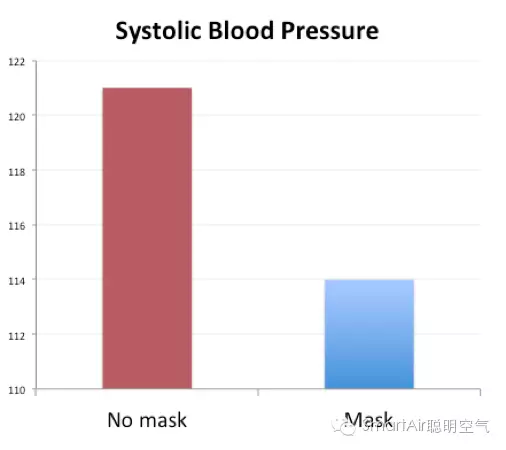 A scientific study of 3M masks on 22 Chinese people found a median fit score of 99.5%–essentially the same as the top results from Dr. Saint Cyr and me. Best yet, effective masks don’t cost a lot of money. 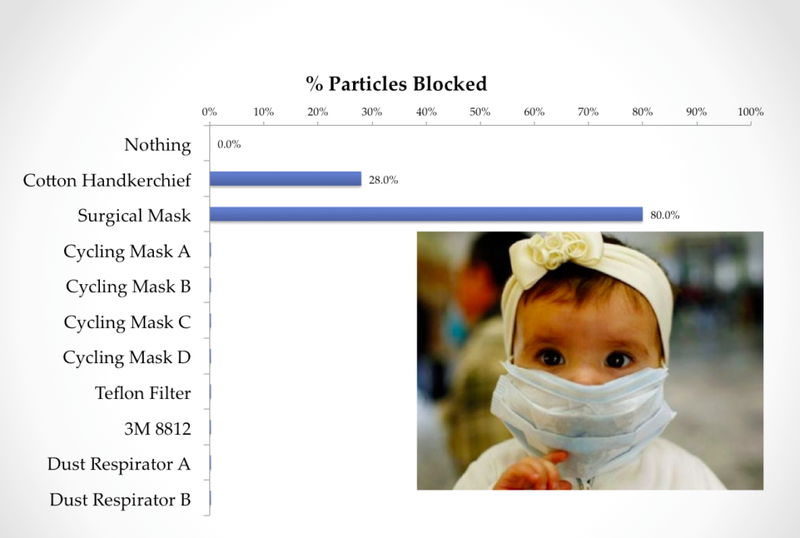 Masks are great, but note that these are tests on particulate pollution (such as PM2.5). 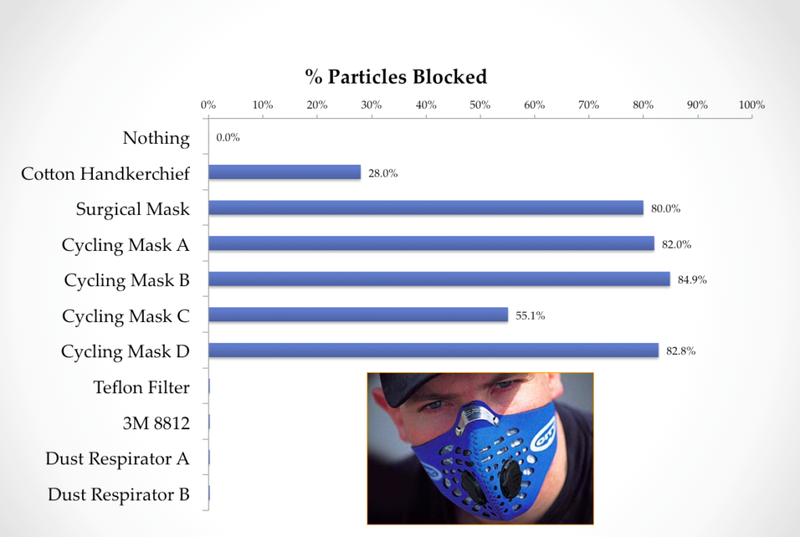 Most commercially available masks don’t target gas pollutants like NO2 and O3, so masks are not giving 100% protection. 3. Is there a documented health benefit of wearing a mask? This is probably the hardest question to answer. 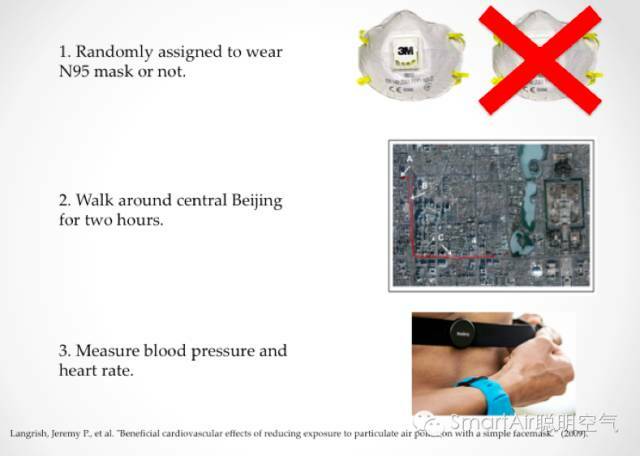 However, there are two solid studies that have randomly assigned people in Beijing to wear masks or not and measured their heart rate and blood pressure (1 , 2). While wearing masks, people had lower blood pressure and better-regulated heart rates. 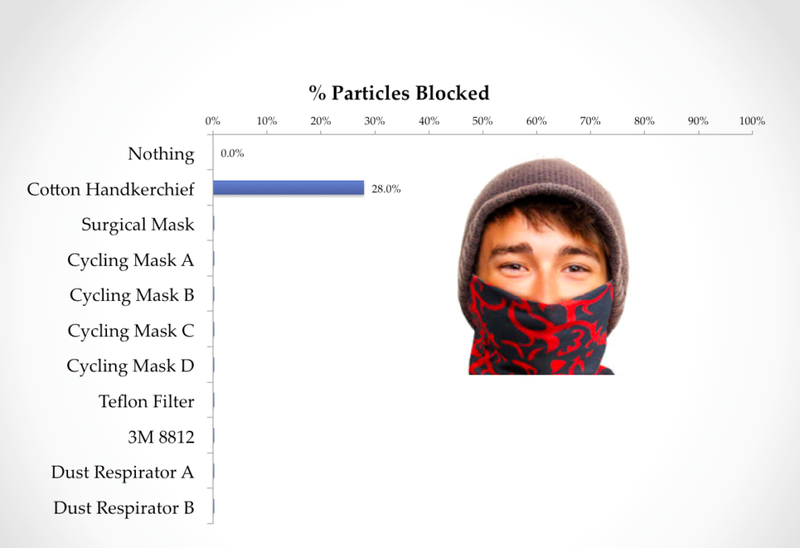 Conclusion: Masks capture even the smallest particles—even while people are wearing them—and they have documented health benefits. That should be enough to satisfy even the skeptics!